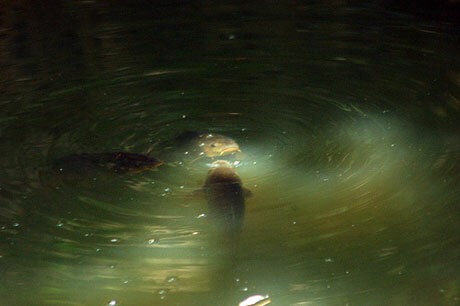 Copper contaminated water harms edible fish like carp. Even at very low concentrations, copper is more toxic to fish than cadmium. Copper is widely used though in industry and agriculture and is often found in freshwater. Damage studies have often been done on fish fed starvation rations, as this avoids the accumulation of waste products. Researchers at the University of Antwerp, however, wanted to know whether the amount of food fed to a fish made a difference to its ability to cope with pollution. Will a good food supply, normally helpful to fish health and growth, become a threat in less-pure waters? The scientists monitored fish fed on high and low rations in pure and copper-contaminated waters. The fish were placed in airtight respirometers and oxygen concentration monitored by oxygen electrodes from WTW. These communicated with a PC over RS232 and from there the Windmill Logger program continuously recorded oxygen concentration (mg/l) over a 2 hour period. Logging happened after 12 hours, 24 hours, 72 hours, weekly then fortnightly. The researchers found that high ration fish increased their oxygen consumption in both contaminated and pure water. High oxygen consumption means more food will be eaten and more copper metabolised. During unfavourable environmental conditions then, a good supply of food will in fact prove harmful. The Windmill COMIML software - with logging, charting, display and control programs - is currently reduced to £50 from Windmill Software Limited. A free trial is available.